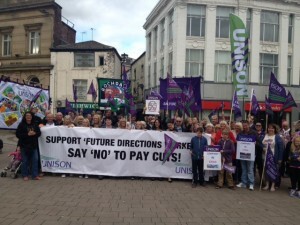 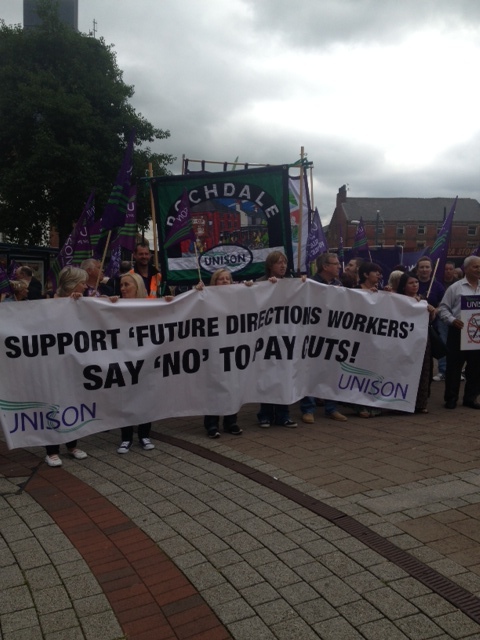 Future Directions workers, who have just finished their last day of strike action, marched through Rochdale Town Centre to protest against cuts to their pay, terms and conditions along with their families and friends. 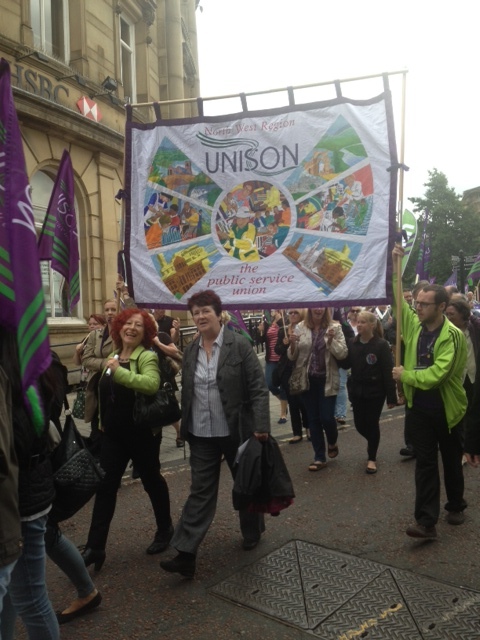 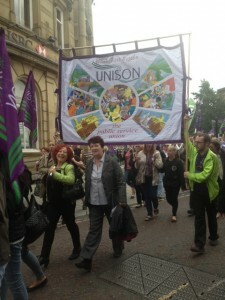 North West branches marched along side Future Directions workers to give their support and speakers included UNISON President, Maureen Le Marinel, UNISON National Secretary for Local Government, Heather Wakefield along with Glen Williams, UNISON North West Vice President, Helen Harrison, UNISON Rochdale Local Government Branch Secretary and Future Directions stewards Andy Taylor and John Morrison. 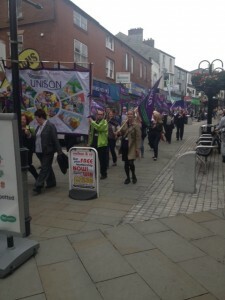 Messages of support were given from branches around the country to workers who will now have taken 19 days of strike action.